Learn about the Labrador’s history, diet, and health to discover what makes this breed unique. The Labrador, also known as the lab, was initially bred to help the local fishermen bring in their nets and pull carts loaded with fish. The Labrador’s ancestor was known as the St John’s dog. The modern version of the Labrador was developed in the UK where its retrieving skills were quickly recognised, going on to gain popularity as a gundog. Today, the Labradors popularity is linked to their generous personality, along with their ability to learn and work in many different scenarios. When it comes to Labrador types, they can be found in two quite different body forms; the cobby, compact type, and the leaner, muscular working type. Both types should have the distinctive Labrador tail; very thick at the base, gradually tapering but covered in a think dense coat – giving it the look of an otter’s tail. Labradors can be found in black, chocolate or yellow, which ranges from cream through to fox red. The Labrador’s coat is short, dense and water resistant; never wavy. 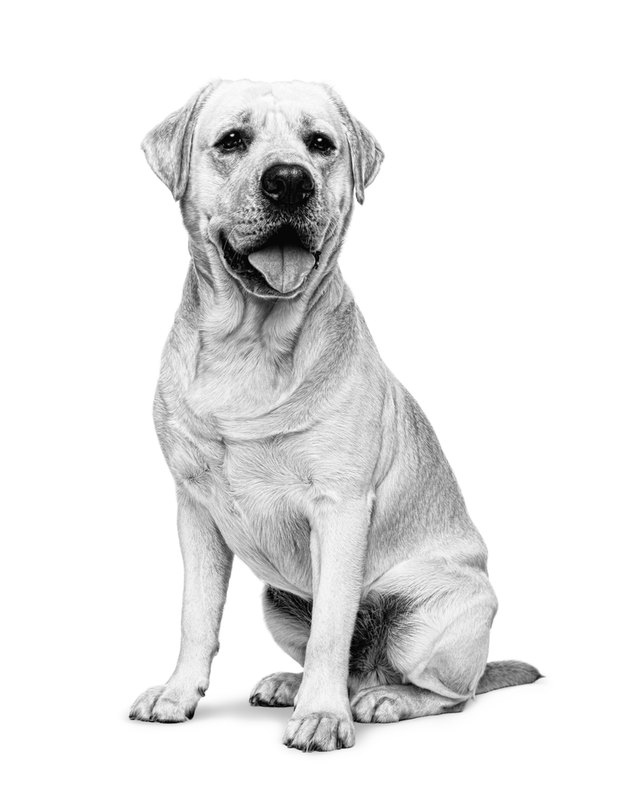 Labrador grooming is only required on a monthly basis to ensure that both the coat and skin are kept healthy. Intelligent and highly trainable, the Labrador has a strong work ethic and a desire to please, which is also helped along by being highly food orientated! Labradors are strong, athletic and excellent swimmers. The Labrador’s energy levels are naturally high, which means plenty of sufficient Labrador exercise is needed – particularly as they are very prone to weight gain. The Labrador is a great companion; both kind and forgiving. The rambunctious and enthusiastic Labrador puppy needs careful support to ensure a slow and steady rate of growth; a healthy development of the bones and joints without any excess weight gain. The diet must be balanced for proper Labrador growth with an adequate supply of proteins, calcium and phosphorous, but excessive in calories. It is also essential that owners are mindful of the feeding ration outlined on the product’s guidelines. 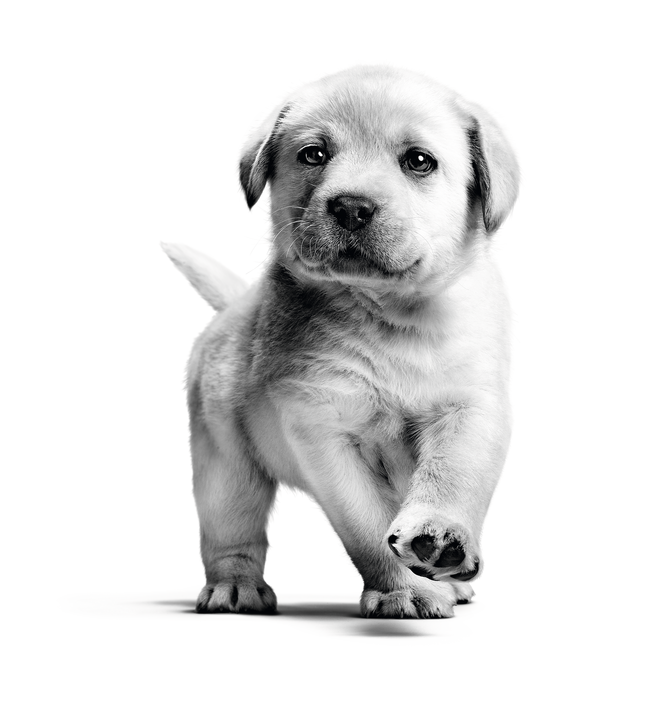 Ideal Labrador Puppy Food: ROYAL CANIN® Labrador Retriever Puppy. When you’re pondering what the best dog food for Labradors is, it’s important to consider a diet with an adapted calorie content to maintain an ideal weight, as well as a diet that supports skin and coat health alongside a regular brushing routine. Labradors generally have a healthy appetite, often more than is good for them. This means that careful monitoring of their food intake and bodyweight is key to limiting excess weight gain. Extra weight can put additional stress on their joints, which are already under pressure from their active nature. The Labrador is a natural swimmer, and its waterproof coat benefits from nutritional support to keep it in top condition with omega fatty acids from fish and borage oils. Ideal adult Labrador dog food ROYAL CANIN® Labrador Retriever Adult. How Much Should You Feed a Labrador?